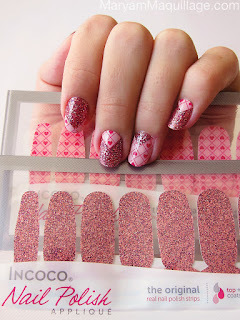 Incoco Fairy Tale Ending Valentine's Collection consists of 8 new gorgeous designer appliqués featuring hearts, lips, glitter, xo's and more. 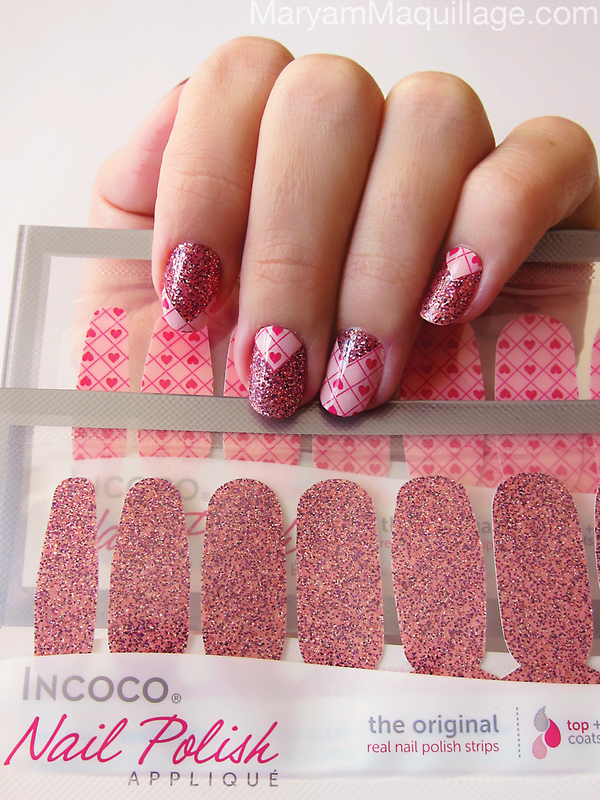 This is one of my favorite Valentine's Day nail collections and I'm eager to announce that Incoco is hosting a giveaway of this entire 8-piece set! Join Incoco on Facebook, click on the banner below and enter to win Incoco Fairy Tale Ending Valentine's Collection! There will be three winners -- Good Luck! Inspired by my Incoco nails, I created a simple pink makeup look with a focus on glittery lids, glowing cheekbones and glossy lips. Red Cherry lashes #42 from HBwigs.com -- love these lashes for a dose of every day glam! Your eye-liner is perfect! I really need to learn how to do that. I guess you are tired of how often you are told but still I'm gonna say it - you are so beautiful!! wow gorgeous these colors are perfect now that Vday is coming! rly nice:D its simple but still awsome! Yayyyyy this is a very particular Valentine's day make-up!!! Woooow, beautiful again Maryam. I love all your Valentines looks! Your nails look amazing and so does your makeup! So pretty hun :) great post! You created them so pretty. I love the purple liner and the nails! I'm always impressed by the cohesion of your posts, right down to the color of your shirt. No stone left unturned with you, always impressive! i know ive told you this before but omg your cheek bones i loveee them!!!! Amazing! 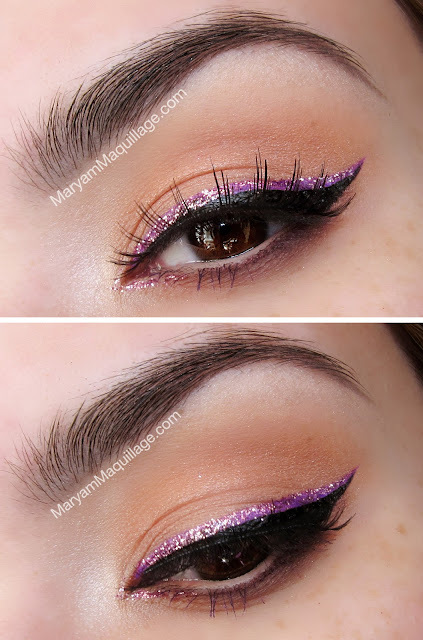 Love everything about this Girly Glittery look! Gorgeous! I love the Mani so Fun!!! do you find it easy to apply those stick ons? Such a pretty look, I love it! So feminine! Love the look.... You look gorgeous..
Oh my god I love this makeup on you!!! Light pinks are just stunning on you, your skin looks amazing!!! love the pink lip! very pretty. i love glitter! precious look! what nail varnish remover would you recommend for glitter polish?